The Groundskeeper Rake II is extremely durable and lightweight, weighing in at only about two pounds. It is far less cumbersome than most other rakes on the market today. With its fiberglass handle and co-polymer head, it is almost impossible to destroy. The aggressive angle to which the tines are formed makes the rake dig right in without the need for pushing down and thus saving you energy and effort. Imagine raking and saving your back at the same time! 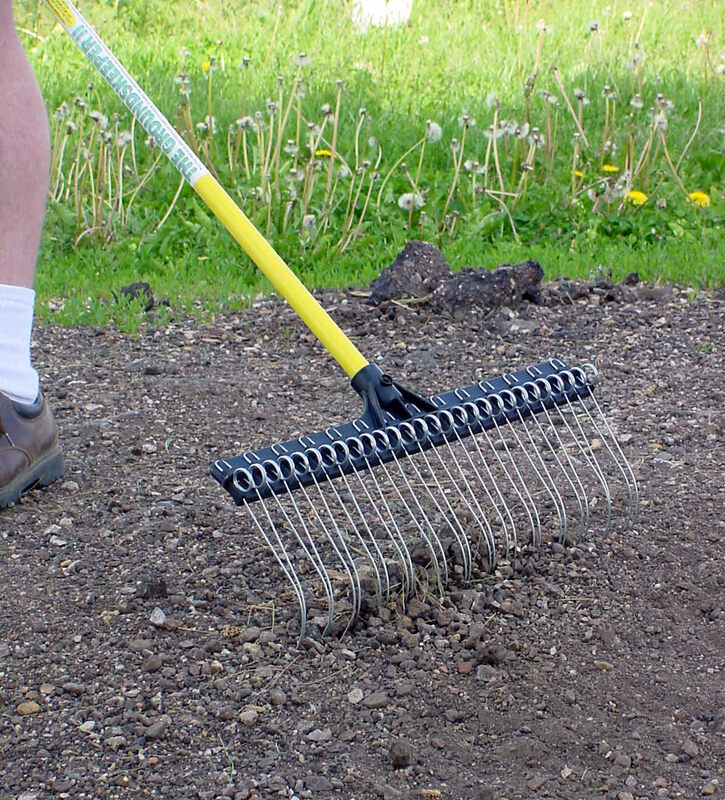 Unlike other rakes, the Groundskeeper Rake II is easy to keep unclogged. Just turn it over and drag it backwards through the grass removing the debris and keeping your hands clean at the same time.